You will earn 2343.00 bonus points. ? The Angelica sectional lets you host in style with enough seating for everyone and a queen sleeper for your overnight guests! This sectional features rolled arms, piped edging, and stylish accent pillows that add a pop of color and pattern to the neutral shade of ecru brownstone. The sleeper features a Cool Jewel gel memory foam mattress for the lush comfort of memory foam without overheating your guests. 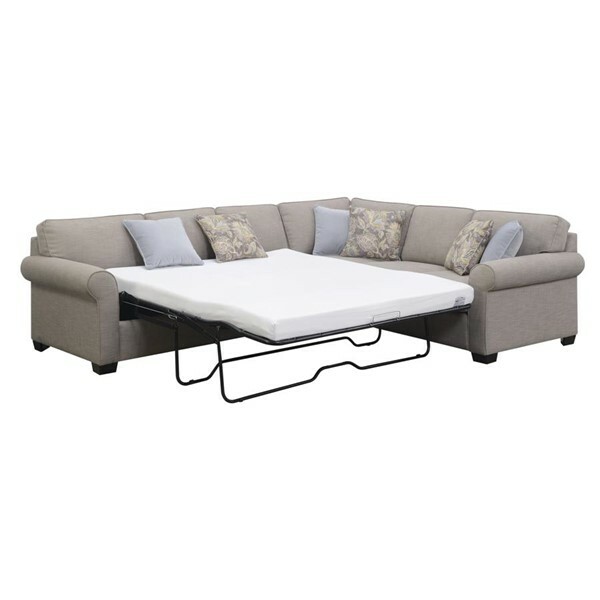 The Angelica sectional is the perfect solution to your multi-purpose needs.